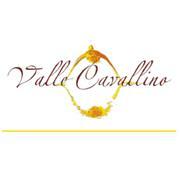 For holidays, Valle Cavallino offers to its guests 4 apartments in a typical country house. From 45 sqm apartments (4 beds) to 130 sqm (4-6 beds). Comfortable and attractive furniture. Each apartment is equipped with air conditioning-heating, kitchen with dishwasher, microwave, cooking plates, Wi-fi on request. Washing machine and TV, dishes and kitchen equipment. Weekly change of linen. Large lawn with swimming pool equipped with sun loungers and umbrellas, barbecue and gazebo. Canopy for cars, pier with 4 private berths to go down the river to the sea or sail along the lagoon canals to the islands. Possibility of walks and bird watching within the company. Standard two bicycles per apartment. Adjacent bike path. Nearby beaches. 30-minute by car from the ferry to Venice and Murano, Burano and Torcello.